It's the first day of the 31 Day Challenge! If you're totally confused about what's going on, be sure to check out my 31DC FAQ page, which will answer all of your questions. 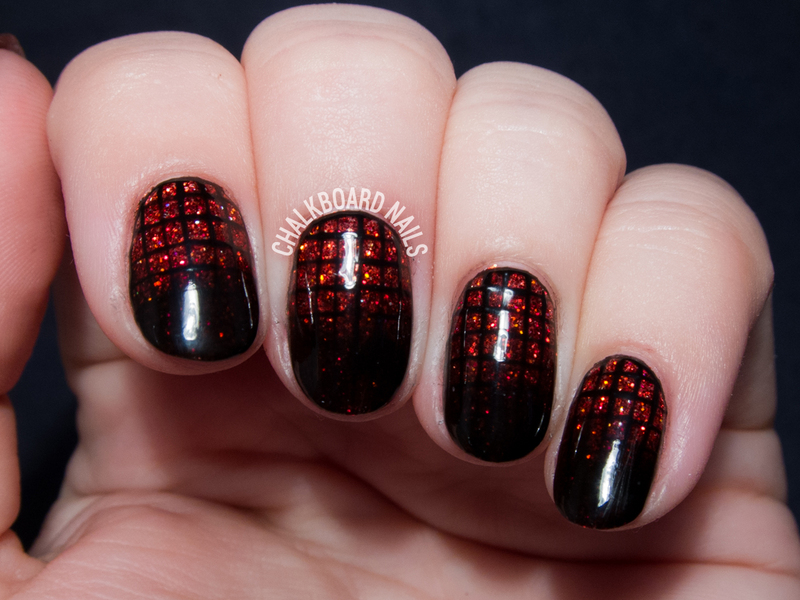 The first prompt of the challenge is "red," and -- what luck -- I was already wearing red rockstar glitter gel nails! So the big goal for this manicure was to try to improve on my gel gradients, which were not as strong as I want them to be. I picked black to use as my gradient color, and sponged it on with clear gel to create the fade. Cut your makeup wedge sponge into a thin strip to help minimize mess. Paint stripes of the colors you want to use on the sponge. Tap it LIGHTLY on to the nail. Don't overtap, as this can pull the gel back up off the nail. If you're used to sponging gradients with regular polish, you'll definitely have to modify your pressure to make it lighter. Clean up any mess on your fingers before you cure in your gel lamp. Cure between each round of sponging. I did four or five rounds of sponging, cleaning, and curing for this manicure. 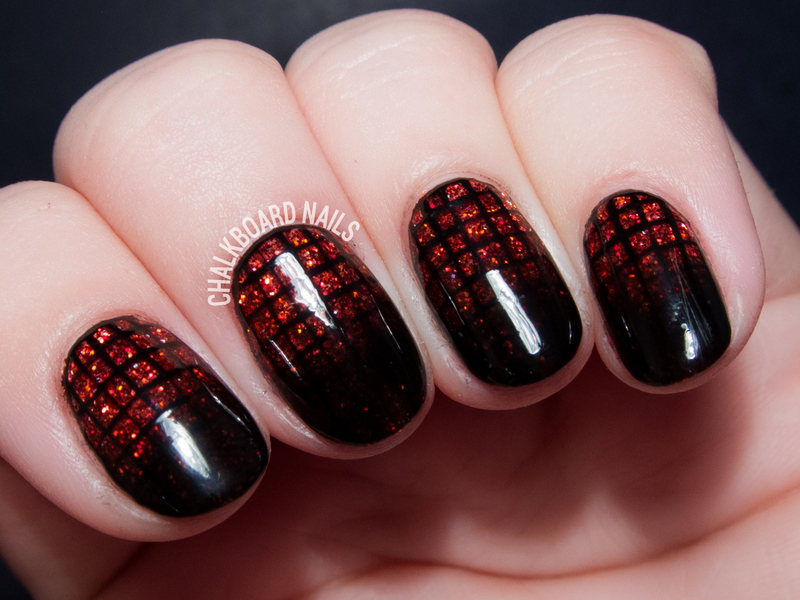 After the gradient was looking good, I painted on a black grid that faded away into the darkest parts of the nails.